Netherlands’ shipbuilder Veka Group is looking to sail into Vietnam’s shipbuilding industry though joining hands with the struggling state-run Vinashin. 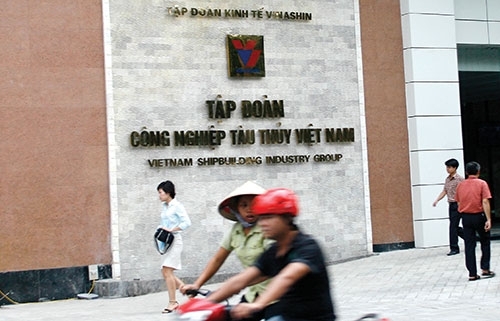 Vinashin has just asked the Vietnamese government for approval to sign a memorandum of understanding with Veka Group to invest in shipbuilding projects in Vietnam, according to an announcement released by the Government Office. “The Ministry of Transport (MoT) directs and guides Vinashin, which nearly was bankrupted in 2009 due to financial mismanagement, to cooperate with Veka Group based on market demand and the actual financial situation of the group [Vinashin],” Deputy Prime Minister Hoang Trung Hai said in the announcement. Veka Group last year studied investment potential in Vietnam and the group also sent delegations to study central Khanh Hoa province, home of Vietnam’s largest shipyard Hyundai-Vinashin and also where Japan’s Oshima Group is building a $180 million ship-building yard. It also studied investment potential in northern Quang Ninh province where several Vinashin-run shipyards like Halong and Pha Rung are located. The cooperation of Veka Group with Vinashin, if it is implemented, maybe significant for the Vietnamese shipbuilder to recover from financial troubles as Veka Group, established in 1988, is a global experienced shipbuilder. Vinashin was supposed to be the tip of the spear in helping the local shipping industry penetrate the global market. However, the state-run shipbuilder almost collapsed in 2009 and required drastic restructuring. The National Assembly’s Standing Committee reported the amount of money that Vinashin owed commercial banks or other financial institutes were 10.9 times higher than its ownership capital.